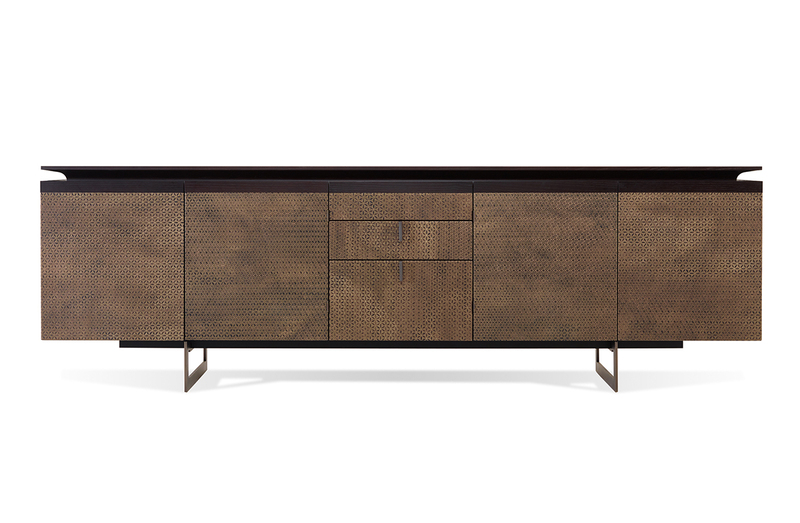 Sideboard with four doors and three central drawers. Structure in dark walnut wood and door and drawer fronts covered in leather. Detailing in metal with antique bronze finish. Wood finish options: Walnut wood in natural, dark or mocha tint. Ash wood tinted mocha or sherry tint. Top finish options: Wood to match above or hammered brass, bianco calacatta marble, carrara marble, emperador brown marble, breccia damascata marble.